谢海龙, 董志刚, 康仁科, 等. C/E复合材料螺旋铣孔切屑形状与切削温度研究[J]. 北京航空航天大学学报, 2017, 43(2): 328-334. XIE H L, DONG Z G, KANG R K, et al. Chip shape and cutting temperature of helical milling of C/E composites[J]. Journal of Beijing University of Aeronautics and Astronsutics, 2017, 43(2): 328-334. Abstract: Carbon/epoxy (C/E) composites are widely used in manufacture of aircraft structural components because of its excellent properties. It is easy to delaminate and tear when processing C/E composites, and the high cutting temperature is the main cause of defects. 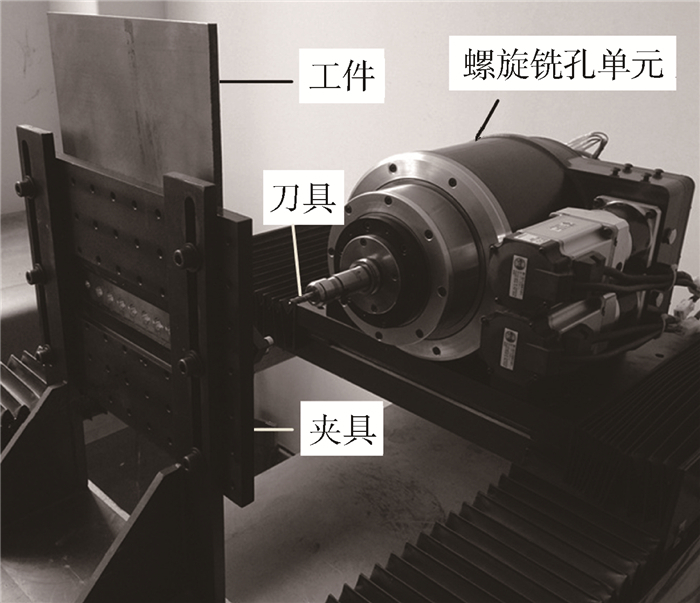 As a new hole-machining method, helical milling attracted plenty of attention owning to its advantages in processing C/E composites compared with traditional drilling. The helical milling experiments were performed with specially designed helical milling equipment on C/E composite. A thermal infrared imager is used to measure the cutting temperature after precision calibration using a thermocouple in a constant temperature oven. 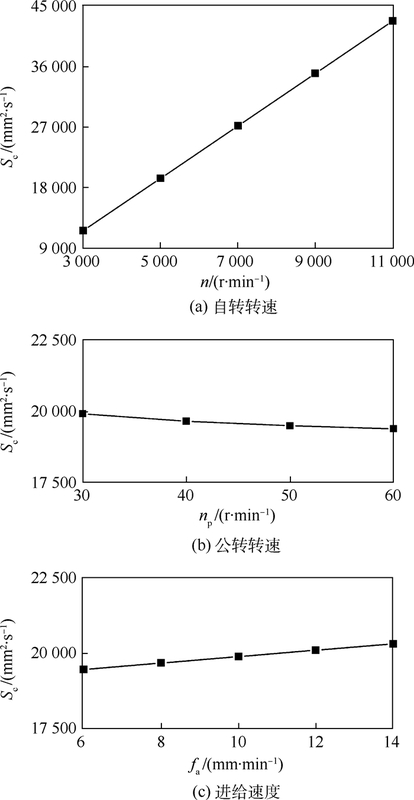 The effects of the processing parameters on the cutting temperature are analyzed. According to the kinematic principle of helical milling and the cutting principle, the origin and influence factor of temperature are analyzed based on the shape and size of the undeformed chip. 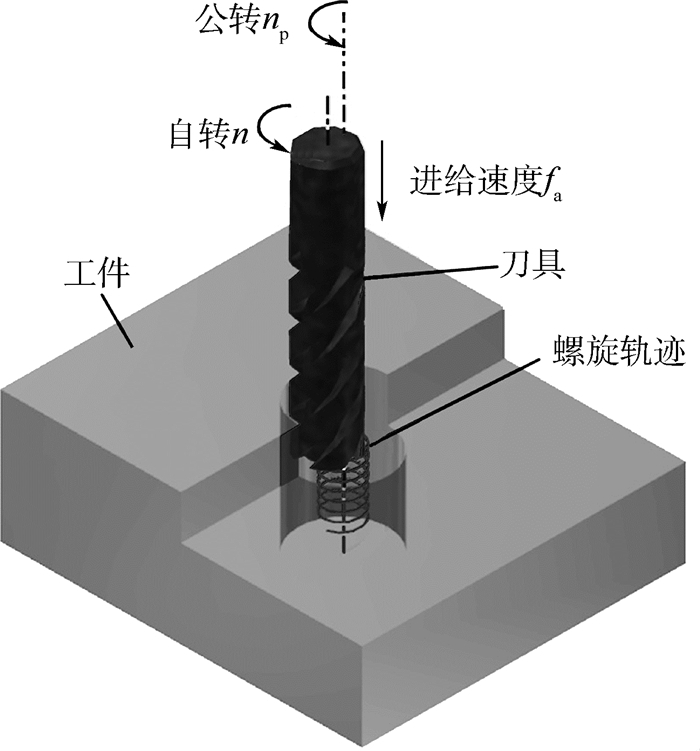 The results are helpful in understanding the machining mechanism of helical milling, and determining the reasonable processing parameters of helical milling. WHINNEM E, LIPCZYNSKI G, ERIKSSON I.Development of orbital drilling for the Boeing 787[C]//Aerospace Manufacturing and Automated Fastening Conference and Exhibition.Warrendale, PA:SAE International, 2008:811-816. NI W.Orbital drilling of aerospace materials[C]//AeroTech Congress and Exhibition.Warrendale, PA:SAE International, 2007. KOLOOR S S R, ABDUL-LATIF A, GONG X J, et al.Evolution characteristics of delamination damage in CFRP composites under transverse loading[M]//TAMIN M N. Damage and fracture of composite materials and structures.Berlin:Springer, 2012:17, 45-59. DENKENA B. New production technologies in aerospace industry[M]. 5th ed	Hannover: Elsevier, 2014: 137-143. 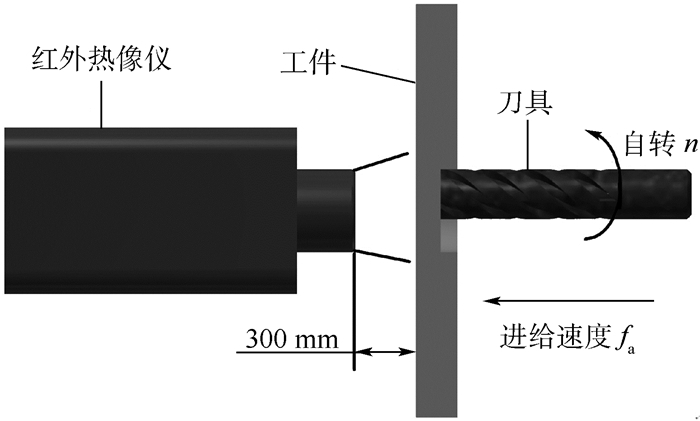 张厚江.碳纤维复合材料(CFRP) 钻削加工技术的研究[D].北京:北京航空航天大学, 1998:23-29. 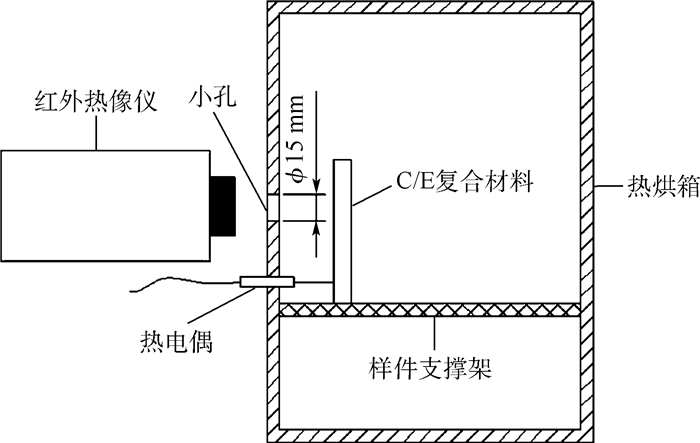 ZHANG H J.Study on the drilling technology of CFRP[D].Beijing:Beihang University, 1998:23-29(in Chinese). 王海艳.难加工材料螺旋铣孔动力学研究[D].天津:天津大学, 2012:51-88. 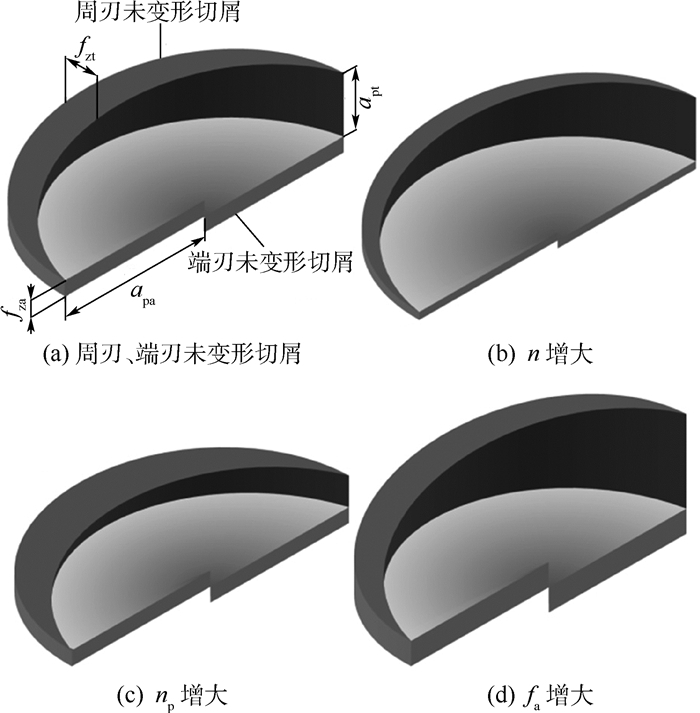 WANG H Y.Study on dynamics in helical milling of difficult-to-cut materials[D].Tianjin:Tianjin University, 2012:51-88(in Chinese). 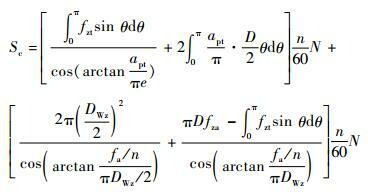 WANG H Y, QIN X D. A mechanistic model for cutting force in helical milling of carbon fiber-reinforced polymers[J]. The International Journal of Advanced Manufacturing Technology, 2016, 82	(9): 1485–1494.